Two Swing frames to fit any caterpillar backhoe E Series. One in excellent condition, the second has one pin hole that needs to machined. 3 trailer axles that came off 14’x64’ trailer home, tires included. Timberjack 3000 computer and controls, Came out of a 1998, 608B/762C harvester. Items include HHM, display, MCM, and PCM modules, right and left keypads with joysticks, timberjack 3000 version 8.15 green card and black data card. Contact for price. Ryno Work Crack unit - New in May. Only about 4 hours on it. Sealing unit Oil Based 5x10 Enclosed Trailer All equipment is in working condition. SERIOUS People only Please. 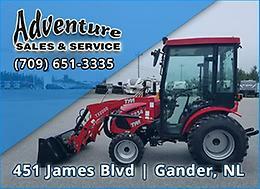 looking to buy a used backhoe for personal use. $15000 or lower, preferably 4x4 but open to 2x4 if good deal.please email anything you may have. Wanted to buy a Craig Snow Basket or similar type for a John Deere 624K.